We’re back from the Scottish Highlands near Acharacle, where we stay in a family hunting lodge overlooking an ocean bay. The sunsets and sunrises are so beautiful I found myself photographing the sunsets every evening and woke up one morning at 4am to catch a sunrise. 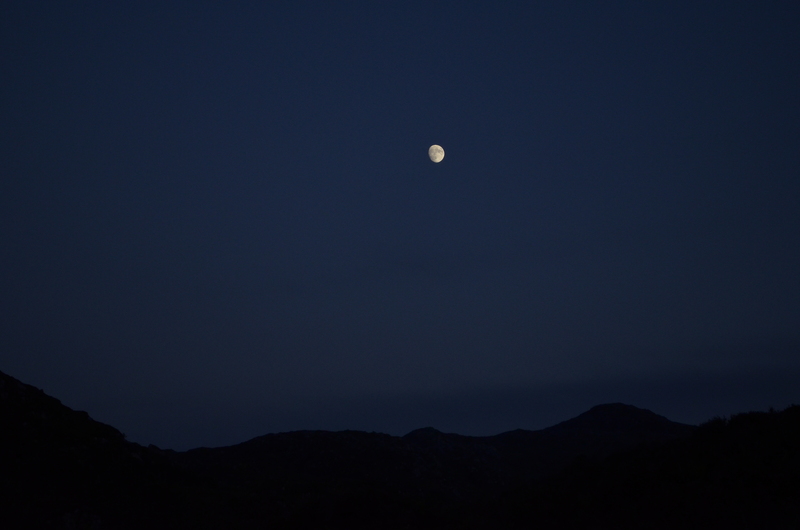 One of the nights I trekked up the mountain and after taking a few photos of the sunset, noticed the moon directly behind me. Without changing the settings on my camera left from the sunrise photos of the morning, I photographed the moon. The settings were a complete mistake and to my surprise, I was able to capture the moon. Sometimes a mistake can be a wonderful thing. Categories: Photography, Scotland | Permalink.